The season may be ending, but prepping for the next race never does. proud to help you build it. ‘Syracuse’ two-speed we’ll be shipping from early November. You’d think with twenty seven choices we’d covered every requirement, but the quarter-mile community found one we missed: a mid 1.30’s third for our ultrawide sets. So now there are thirty six (thirty three possibly useful). Check it out here. And if you’re now even more unsure which is for you, Nathan is always available to help you sort it out. N-SERIES FOUR-SPEEDS GET A NEW SHIFT COVER! 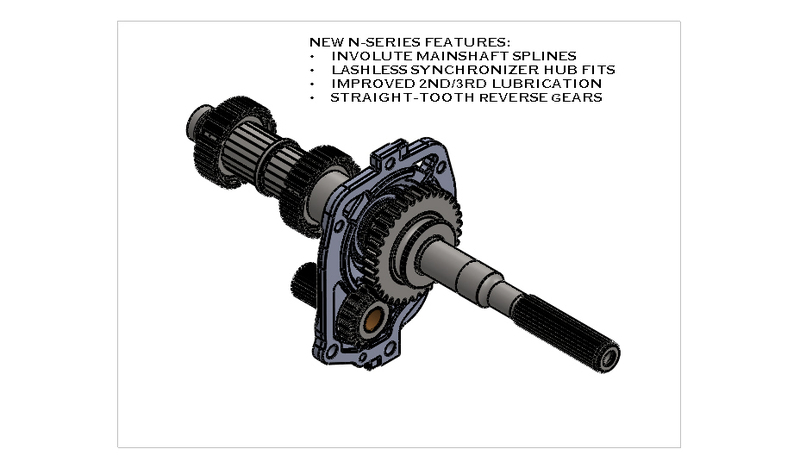 We are pleased to announce that, effective immediately, all new Auto Gear N-Series four-speeds, whether assembled in Syracuse or from kits from approved distributors, will ship with a new shift cover assembly. The stronger new assembly was designed to contain the cover-distorting stress of aggressive high rpm shifting. You’re searching for a cost-effective gearbox with a legacy footprint and superior performance, raising the bar from year-to-year with more powerful and faster revving engines. To date we’ve kept pace; but we both know we can’t continue to satisfy your evolving requirements with microscopic changes to a half-century-old platform. Eventually, you’ll need something new. Why not now? Introducing the AUTO GEAR N–Series. So, what’s new and why should I care? INVOLUTE MAINSHAFT SPLINES. Involute splines are the tiny gear-tooth-like splines found throughout almost every modern gearbox. Original equipment mainshafts with straight-sided splines need strength and performance-stealing lash to compensate for the errors in spacing and parallelism inherent in their manufacture. Involute splines on N-Series mainshafts are more accurate, self-centering, can be designed for lashless fits (see next item) and even rolled (forged) for additional strength. LASHLESS SYNCHRONIZER HUB FITS. You can’t see it, but the 40 synchronizer splines on N-Series mainshafts are helical, a quarter-degree twist that squeezes out the lash as they’re pressed home. So, unlike original equipment, N-Series synchronizers don’t chuck like worn u-joints and will keep your sliding clutches and destination gears coaxial. IMPROVED INTERMEDIATE JOURNALS. A series of axial and parallel flats interrupting the second and third gear journals on N-Series mainshafts provide superior lubrication and more generous support. STRAIGHT-TOOTHED REVERSE GEARS WITH INVOLUTE SPLINES. Helical reverse gears slide easily into mesh. 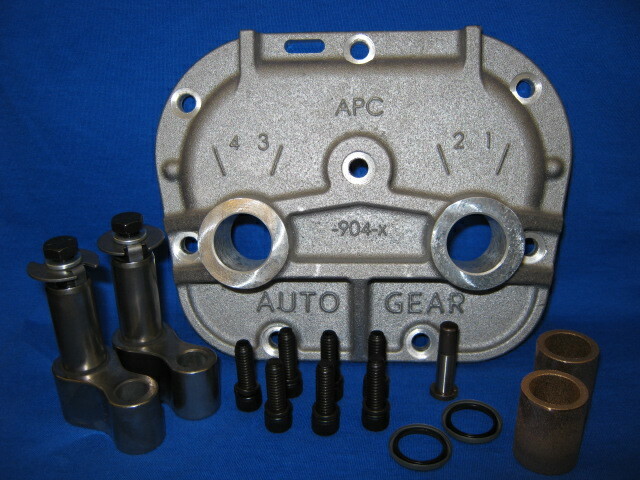 Too easily, perhaps, as almost every ‘Muncie’ four-speed rebuilt needs a new mainshaft reverse gear and mating idler assembly. Not all those tooth-chips find their way to a magnet before damaging bearings, gears and synchronizer rings, either, and the sliding gear can rattle on the generous lash required for a helical sliding fit. Certainly, they back up a little less easily, but N-Series gearboxes last longer and run more quietly. General Motors had ‘M20s’ or ‘M22s’. We needed something new but familiar and ‘New 20’, ‘New 22’ and ‘New 23’ fit the requirement, so we’re calling the original equipment ‘Muncie’ gearboxes ‘M-Series’ and the new gearboxes ‘N-Series’. QUESTION: Will M and N-Series gearboxes interchange? Yes. Envelope dimensions and mounting points are unchanged. 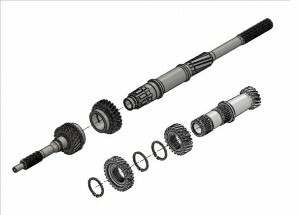 QUESTION: Will AUTO GEAR continue to assemble or kit ‘M-Series’ four-speeds? Introduction of the N-Series will be staged; as N-Series applications are approved the sale of new M-Series gearboxes or gearbox kits for those applications will be discontinued. QUESTION: How will applications be approved? We will apply the same methods currently applied to the M-Series, that is, by evaluating each new inquiry against our database of similar successful installations. Applications unsupported by historic success that may now be supported by the more capable N-Series will receive special engineering attention. And, of course, we will continue to deny approval to any questionable application. QUESTION: Will AUTO GEAR export N-Series gearboxes or gearbox kits? Yes, but not before N-Series gearboxes for the intended application have been approved for sale and demonstrated successful in the United States. QUESTION: Does this delay apply to Canada? QUESTION: Will N-Series improvements be legacy-compatible? As economical kits, yes. Most new N-Series items will not substitute one-for-one with M-Series items. QUESTION: When will N-Series upgrade kits be available? That will depend on data returned from N-Series gearbox installations, but probably not before 2017. An exception is the N-Series aluminum midplate, available now. QUESTION: Will equivalent M-Series items be dropped from AUTO GEAR production when N-Series upgrade kits are released? The M-Series synchronizer hubs, reverse sliding gear and reverse idler gear assembly have good service sales and will continue. The M-Series iron midplate, directly interchangeable with the stronger, lighter and more accurate N-Series aluminum design will remain available until inventory on hand is exhausted. M-Series mainshafts, used almost always in new gearbox production, will probably be dropped. QUESTION: Regarding the N-Series, are additional features or specification enhancements planned? Yes. 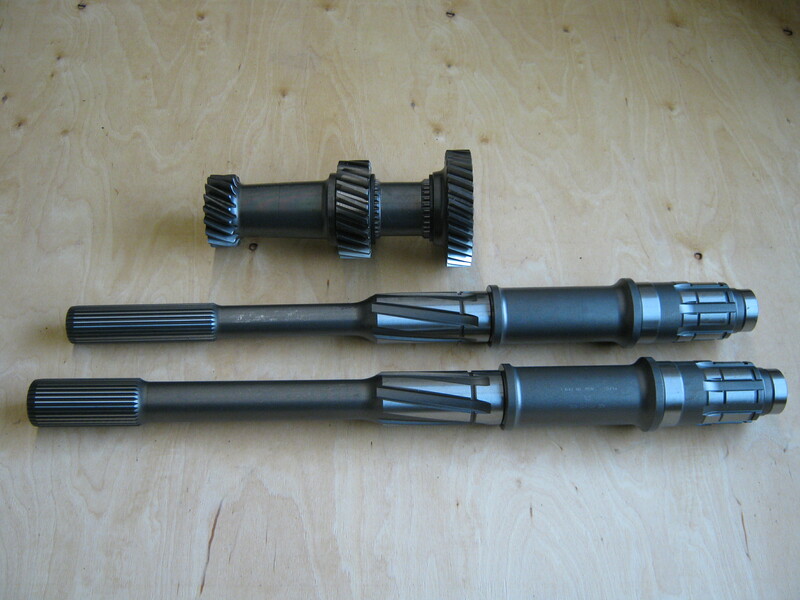 The N-Series is an active AUTO GEAR development platform with several new items currently ‘in the pipe’. QUESTION: Can you say what those are or when they will be available? No, not before production is approved and scheduled. QUESTION: What about the M-Series? Will development of the ‘legacy platform’ service and upgrade items continue? We will continue to make changes to improve quality or in response to manufacturing requirements. (1) STRONG. Legendary M22 ‘Rock Crusher’ gearing, sourced in Italy for legendary accuracy. (2) EFFICIENT. Low mass is good, but low inertia is better. Superfinished helical gears transmit more torque with less pumping loss, sending more torque to the tires. (3) VERSATILE. Different classes and tracks require different strategies. 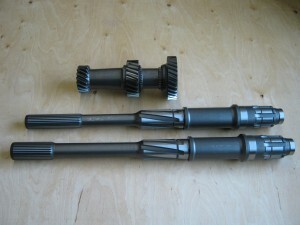 Choose from low gear ratios from 1.08 to 1.73, 10 or 26 spline inputs, 27 or 32 spline outputs. ‘SuperCase’ OE replacement for a gearbox legal almost everywhere. (5) AFFORDABLE. Buy parts to resurrect an old ‘Muncie’, a complete ‘knocked down’ kit to roll your own, or a gearbox ready-to-race.